We found it! The Language Arts program perfectly suited to our youngest child. It is quite the challenge to find one child struggles with learning using resources we’ve always found successful. We have made progress using our old stand-bys but it has been slow and grueling for both of us. We have not had any testing done, but I strongly suspect she has a bit of dyslexia and we’ve been looking for something that would click with her. This is why I was excited for the chance to use and review Eclectic Foundations‘ Language Arts curriculum. Through the years I’ve been drawn to simple, old fashioned ways of teaching and learning. Eclectic Foundations Language Arts Level B is exactly that,with no loud bells & whistles, proving to be just what my girl needed. The short, straight-forward McGuffey lesson plans keep her attention and build on what she has already learned, providing the repetitive practice needed without being boring. As the youngest of 8, my daughter is always thrilled to receive something chosen just for her. The fact that this curriculum package was never used by anyone else in the family made her a wee bit giddy and she wasted no time at all tearing into the box when it arrived. Mom was giddy over the fact that everything we needed to get started was included. The lessons are laid out clearly with an easy to follow outline in the Teacher’s Guide. It tells me just what to say and do and what comes next. I was impressed with how the publisher combined tried-and-true teaching materials and philosophies from the past to create an easy to use and effective program for today. After only a few minutes I felt familiar enough to jump right into the first lesson with my daughter. We work together, following the my Teacher’s Guide and using the workbook, practice sheets and word cards. You’ll need a copy of the old-time McGuffey Reader. These are easy to come by – hard copies are often available at local libraries, thrift stores or at sites like Amazon. Eclectic Foundations makes available a public domain pdf file for you to use on your computer or to download and print. (The publisher graciously included a photocopied/spiral bound copy for us to use. Love that!) I highly recommend having a physical copy of the Reader. There is something about holding the pages in hand and asking the brain to communicate with the hand as the child puts the letters and words down on paper. Each day our language lesson includes a reading from the McGuffey Reader or with the Word Cards that coordinate with the lesson. These word cards, at Level B, are colored to help student clearly recognize the parts of speech. Then we have a short phonics lesson working with a word list for the day. She reads these out loud to me, practicing any words that caused a stumble or long hesitation. Some lessons include phonics work Having this visual manipulative tool has been very helpful. Each lesson includes a handwriting lesson – a sample with clear direction for how to form the cursive letters are right there on the page. It only takes minutes and is Bekah’s favorite part. She loves writing the curvy letters, looping and combing them, making them look artistic. I found when my children jump in and practice cursive writing, their manuscript handwriting and math work improve immensely, so this exercise is really important. My favorite part is the poetry lesson. Each week we have a poem to read and discuss. There is opportunity for learning how words can be used to build images and express thought. These poems give a place to develop an appreciation for words and rhythm in our language and challenges us to look at life with a different point of view. This curriculum uses short and simple lessons. It works beautifully with a Charlotte Mason style of schooling. While most of us are used to choosing resources based on a ‘grade’ level, this course is based more on skill and mastery level. I am really happy about this because my 5th grader is gaining mastery over reading skills she’s been working on since her 2nd grade year. This no-nonsense way of learning is perfect. It covers a full school year. Ideally, the student will work one lesson a day, 4 days a week. We have been moving through 6 lessons a week. Once we found our rhythm, my daughter quickly grasped lessons and will be closer to a level that is more average for her age. That is exciting news and we look forward to using Level C by the beginning of our next school year. 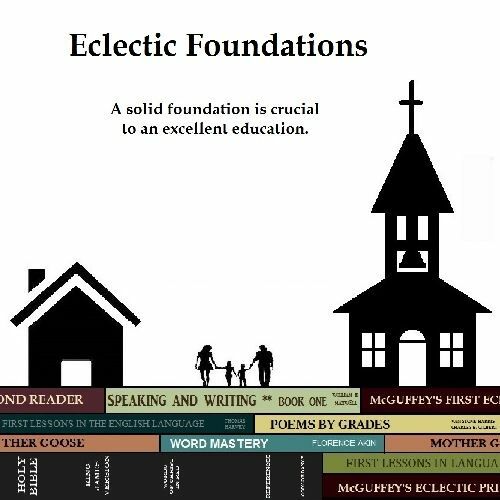 McGuffey lesson plans using Eclectic Foundations Language Arts Level B has been the perfect way for us to improve our struggling student’s reading skills. This program is made up of physical, consumable workbooks for Levels A, B and C available on the website (this is what we are using) but they also have digital format available for purchase to use on a computer or to print. This makes Eclectic Foundations a terrific choice for families who school while traveling, live abroad or who live in tight quarters – missionary families come to mind. 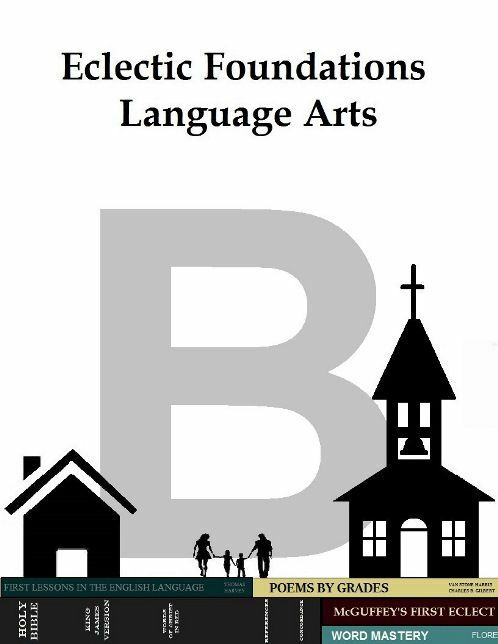 Bekah is gaining confidence in her reading with Eclectic Foundations Language Arts Level B and we highly recommend it. See what others are saying about Eclectic Foundations Language Arts. My fellow bloggers on the Homeschool Crew Review are reviewing Levels A, B and C. I hope you’ll visit to see how they are using this terrific program.